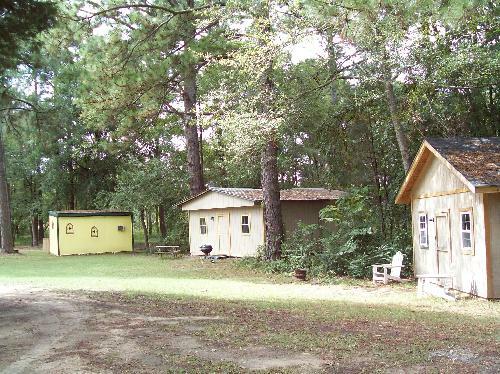 We have four cabins to offer those guests who don't want to sleep in a tent or who are traveling in a car but still want the camping experience. 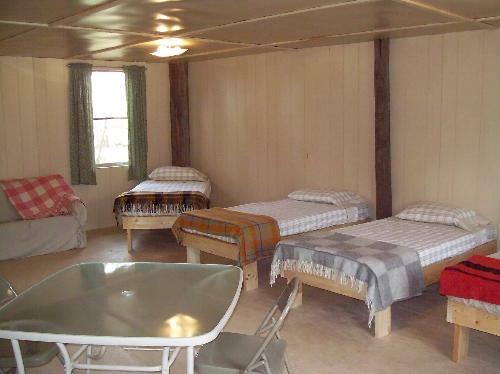 All cabins feature air conditioning, microwave, and refrigerator. 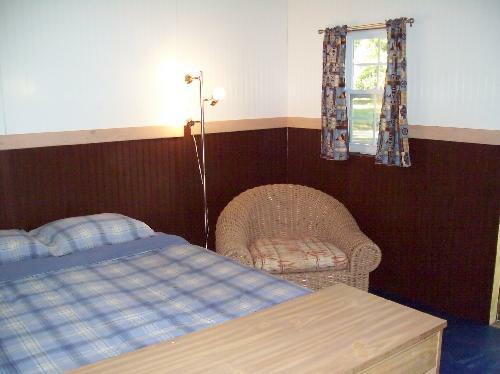 All of the cabins are just steps away from our clean, comfortable bathhouse. Sleeps 6; 2 double beds and 4 twin beds. Microwave on an eight foot work counter with cabinets. 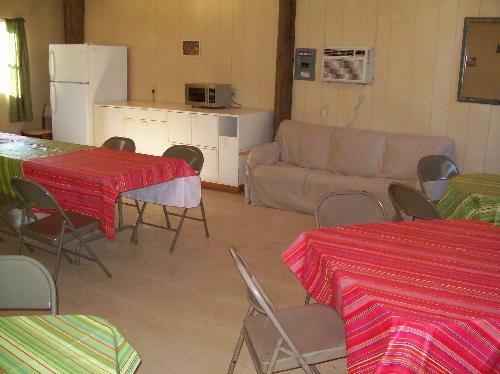 This cabin can be used by Groups for Pot Lucks, Games and as a Meeting place. 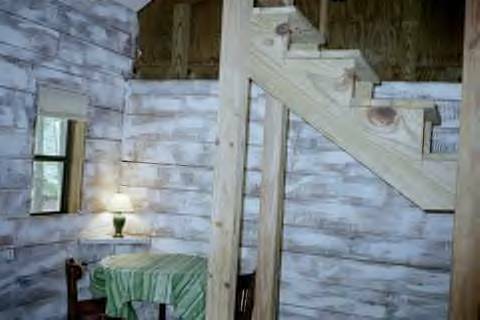 The Club Cabin makes the perfect place to hold slumber parties, keep the noise out of your house! The nightly rate is $80 with an additional $5 per extra person. 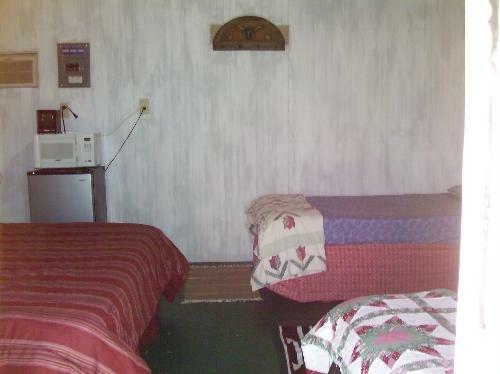 Sleeps up to 4 ; 1 queen bed and 2 twin beds. This cabin also features a fenced courtyard. The nightly rate is $50 with an additional $5 per extra person. 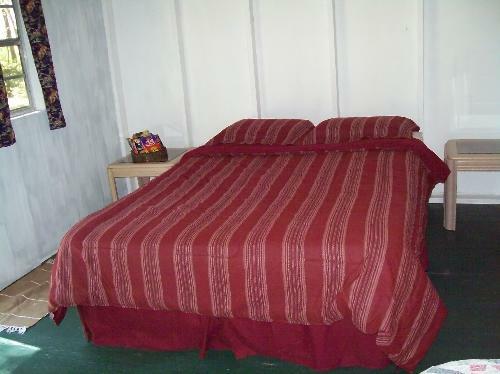 Sleeps up to 4; 1 queen bed and 1full bed. The nightly rate is $50 up to 4 guests with an additional $5 per extra person. 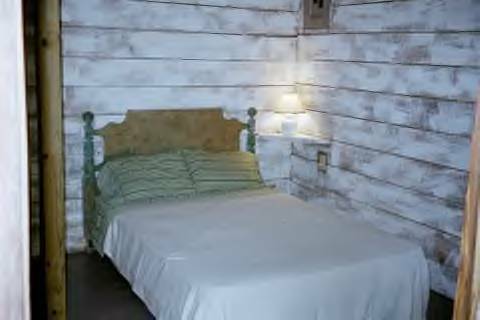 This loft Cabin sleeps up to 4; 1 double bed on main level and 1 double in loft. 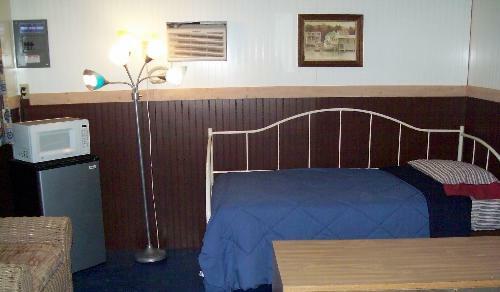 Cabins are equipped with a bottom sheet on all beds. Please provide your linens, pillows and any towels necessary. A Cash Security/Cleaning Deposit is taken at Check In on all cabin rentals. Guests are more than welcome to join you for your daytime activities, but everyone entering the Campground must stop and register and pay the Park Fee in the Office before joining you at your site.